When we exercise, ATP (adenosine triphosphate) levels in the muscle are rapidly depleted. ATP provides the muscle with the ability to contract; therefore, when ATP levels are compromised, muscles cannot perform at optimal intensity. Supplementing with creatine helps to replenish ATP levels and in so doing it provides the muscle with energy and improves its ability to contact. 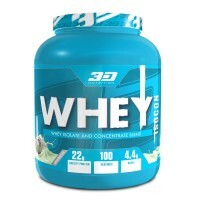 Over time this can lead to gains in strength and increased muscle mass. 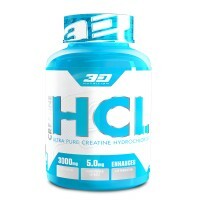 Creatine HCL has been proven to be absorbed up to 60 times more efficiently than creatine monohydrate. To enhance absorption even further, we have included 5mg of piperine to each serving of Creatine HCL. An added benefit of using creatine HCL rather than creatine monohydrate is that there is no loading phase required and it does not cause water retention. Quality is of highest concern to 3D Nutrition which is why we only use the highest grade of ultra-pure creatine HCL and piperine to ensure optimal absorption and results. 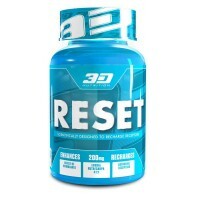 Take 5 capsules 30min before workouts.